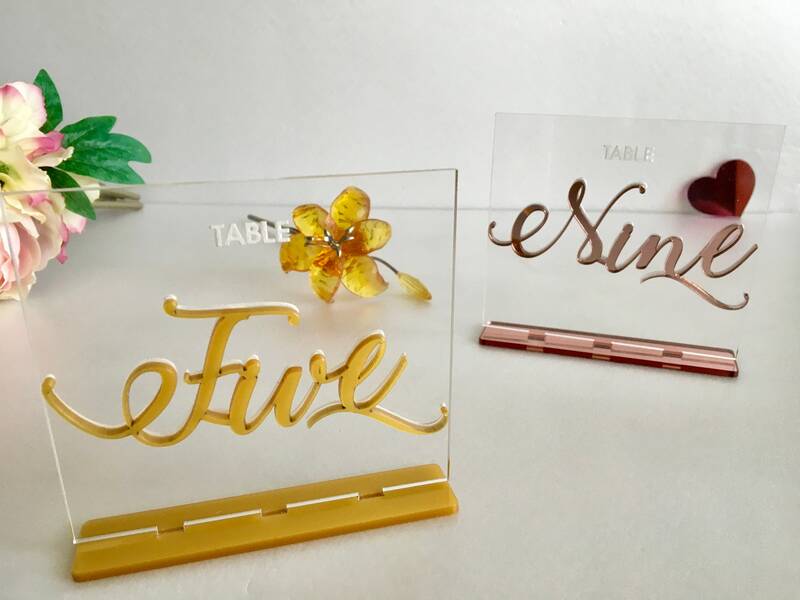 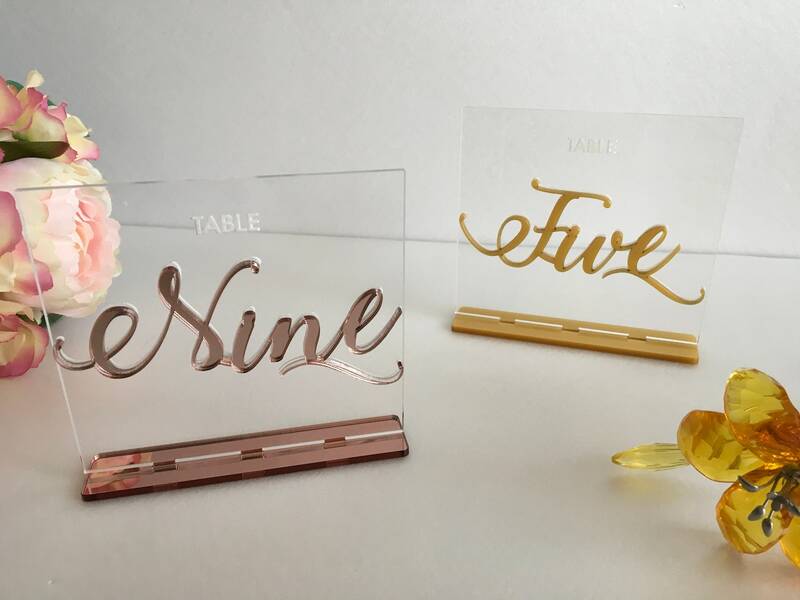 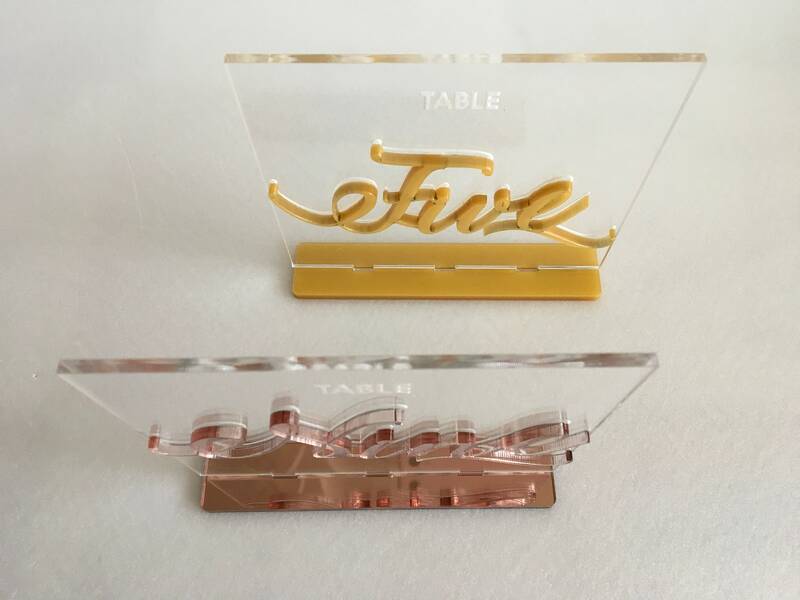 Engraving text "TABLE" With text "TABLE" Without text "TABLE"
Unique Table Numbers for Weddings or Events! 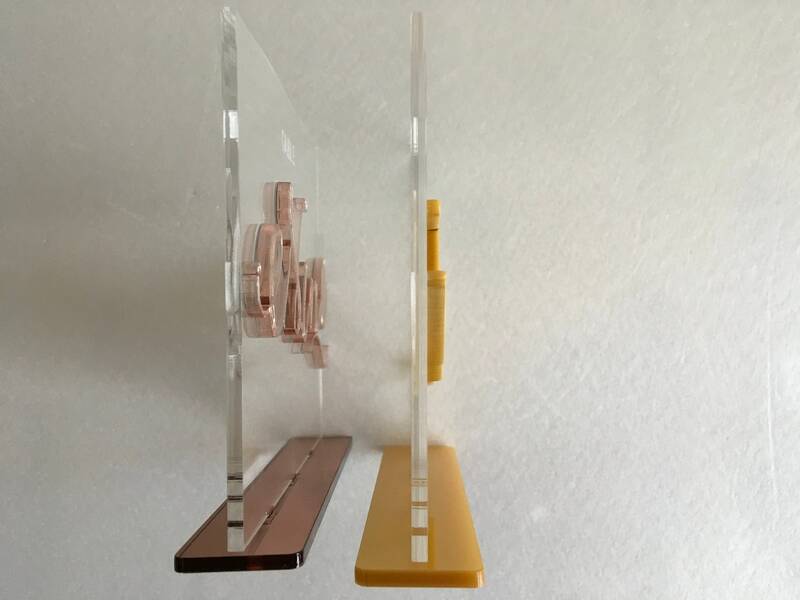 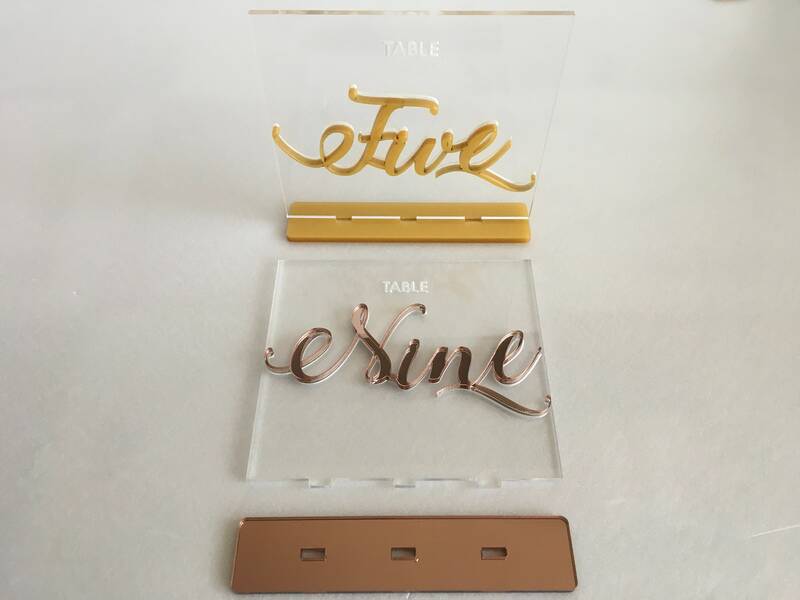 Table numbers made in Clear acrylic with an engraved number at the back and color cutout in front. 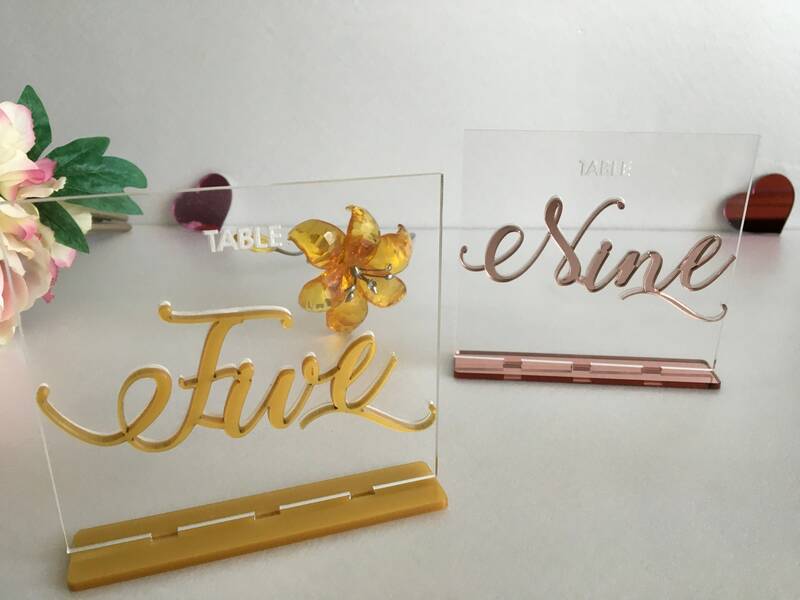 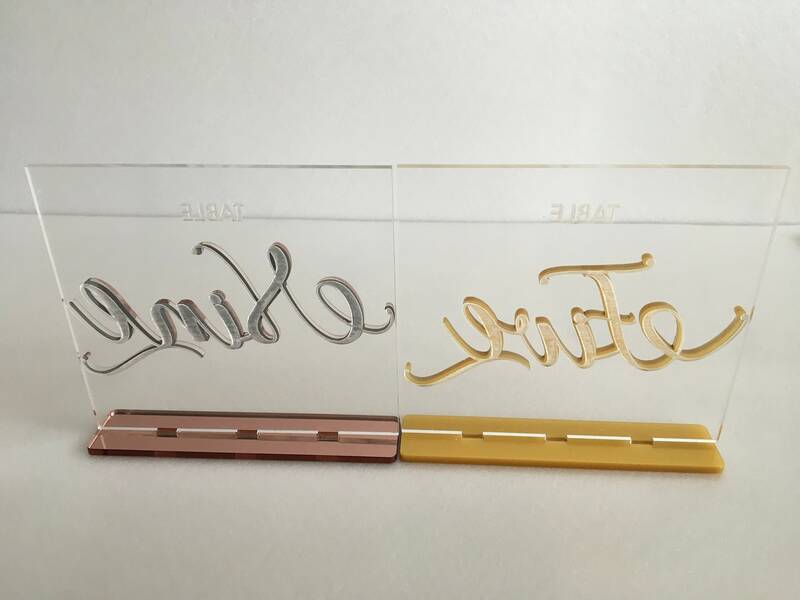 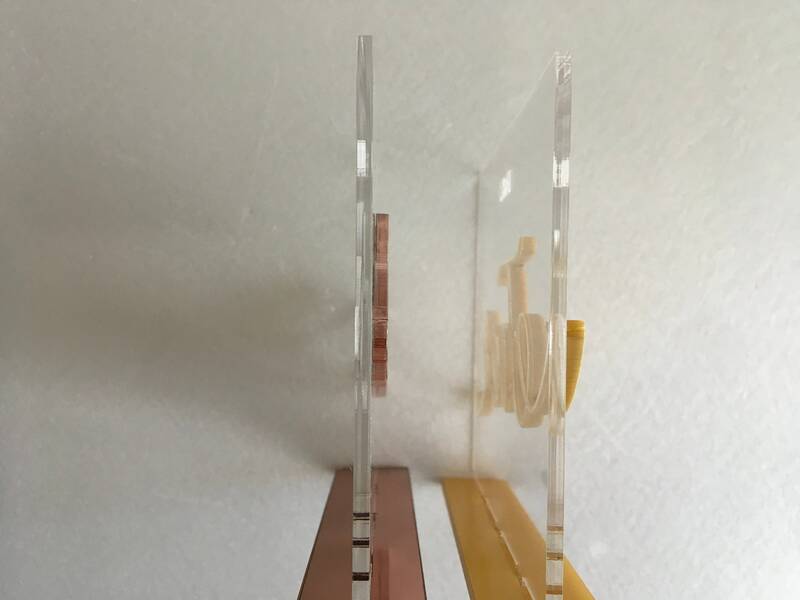 The engraving at the back can be only in white color and the number cutout in front can be gold matte or rose gold mirror. 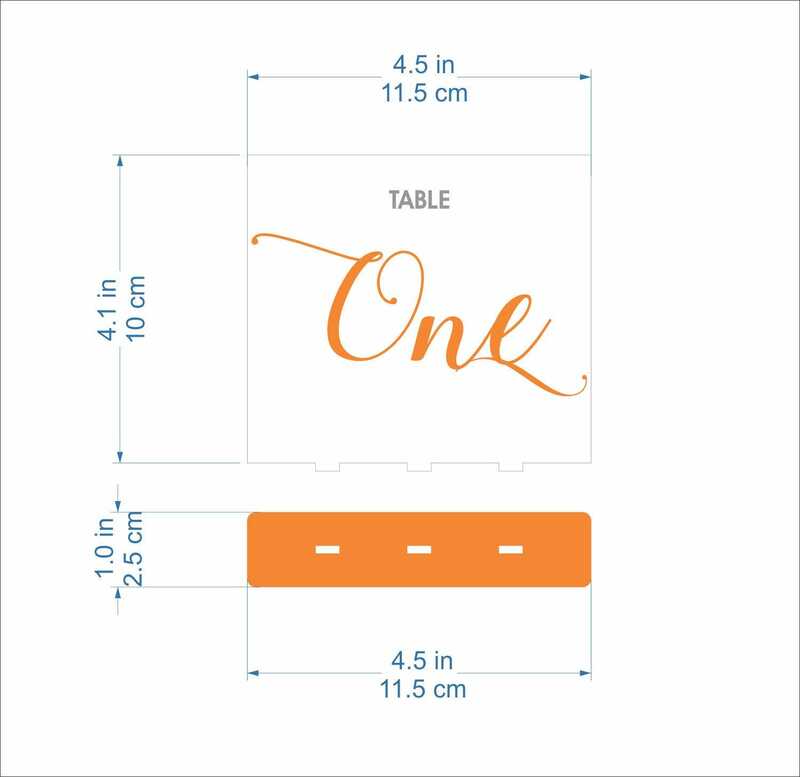 We can produce these table numbers in 1-3 business days after your order.